Paul Humphreys is the Compliance Assurance Manager and partner of the SuperBenefit Programme, a Self-Managed Superannuation Fund (SMSF) service provider established in 2007. SuperBenefit is unique because of SMSF Connector Service – which provides clients and trustees with a team of experts to assist with the full SMSF administration, education, guidance advisors and mentors for all the key compliance, investment and strategy issues essential for successful wealth accumulation for retirement using Self-Managed Super (SMSF). Paul is a member of SMSF Professionals Association Australia (SPAA). In 2000, Paul established and continues to operate Account Keeping Plus (AKP). He is a qualified Mind Your Own Business (MYOB) and Reckon/QuickBooks Professional Partner. AKP provides Administration, Business Finance, bookkeeping and accounting-software training and analysis for small to medium businesses. After completing University, and years in research at Monash University, Paul along with his wife Jeannie, in 1990 established J P Fine Foods Pty Ltd, a Hand-made Biscuit, Dessert Manufacturing and Catering business in Berwick. 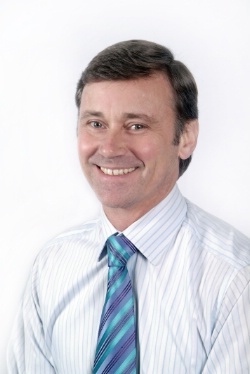 Paul studied in the 1980’s, Science and completed honours in immunology and a Masters in Biotechnology at Monash University, Clayton, Victoria before working as a research assistant. To support himself through University he established and operated a window cleaning business. Paul lives in the South-Eastern suburbs of Melbourne and with his wife Jeannie have two grown-up daughters.